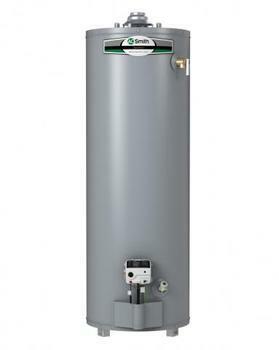 A. O. Smith of Milwaukee, Wis., is recalling about 190 A. O. Smith 30 gallon gas water heaters, model number G6-UT3030N. This recall includes A. O. Smith 30-gallon natural gas water heaters with model number G6-UT3030NV and serial numbers with the first four digits of 1805 through 1809. A. O. Smith, the model number and the serial number are printed on the data plate located next to the gas water heater’s control valve/thermostat. A. O. Smith is printed near the top of the water heater. The water heaters, manufactured in the U.S., were sold exclusively at Lowe’s stores in California from February 2018, through April 2018, for between $540 and $610. Consumers may contact A. O. Smith toll-free at (866) 854-2793 from 8 a.m. to 10 p.m. (ET) Monday through Friday and 9 a.m. to 6 p.m. (ET) Saturday and Sunday or online at www.waterheaterrecall.com and click on the “check my serial number” link associated with this recall for more information.